Nov. 3, 2017 7:20 a.m. 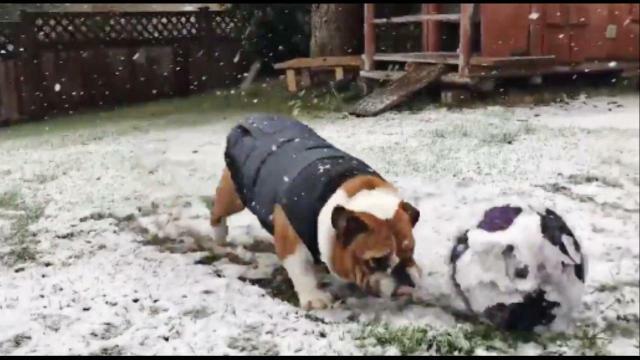 Many in the Lower Mainland woke up to a sprinkling of snow Friday morning, and weather forecasts are calling for more to fall by Saturday. Into the weekend, arctic air over the South Coast and low pressure is set to arrive on Saturday, producing another round of snow, Environment Canada said in a special weather statement Friday. Similar to Thursday’s snowfall, amounts will vary according to elevation, exposure to outflow winds as well as precipitation intensity. The Lower Mainland, Sunshine Coast, Sea-to-Sky corridor and the Fraser Valley are forecast to see scattered flurries, mainly on Saturday night, with a few centimeters possible by Sunday morning. Elsewhere in B.C., snow has blanketed communities, including throughout the Okanagan and Kootenays. Environment Canada has issued weather alerts for majour highways throughout the province, expecting anywhere from 10 cm to 30 cm of snow on the Coquihalla Highway, the Kootenay Pass and Highway 3. Check DriveBC for information on highway conditions and closures. Check Environment Canada for environment warnings and alerts.